Edited by white knight, 15 March 2018 - 07:21 PM. You must have more money than sense! 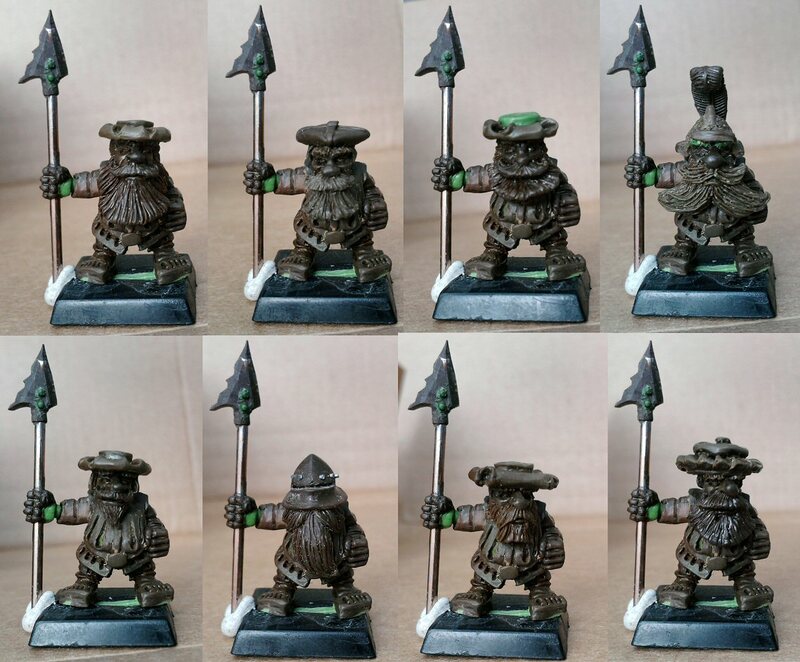 I find this quite appealing, as you can never (imho) have too many marauder dwarfs. I also agree that you need variation in the ranks, and many of the marauders seemed to come from modular beginning. However, something about them doesn't seem quite right. I think it's the poses and the hats. Having said that, I'm eager to see what else comes out of this, especially if you do decide to do a small production run. Could we see some ranked up with their inspiration? I really like this idea. From the sculpts, the detail and variation, in detail alone, is superb! I agree that the poses may need some more variation. At the very least, they should be a little more dynamic- perhaps angled differently on the base, looking different directions, etc. You are right about the poses not being dynamic, but as I said, we decided to get the most dull, static poses sculpted first, as the test pieces for the range, and then add the more dynamic and more interesting poses afterwards. This is merely the beginning, I have plans for many more sets (and all kinds of weapons). I think they look good, the hats are a bit iffy, but the rest are good. 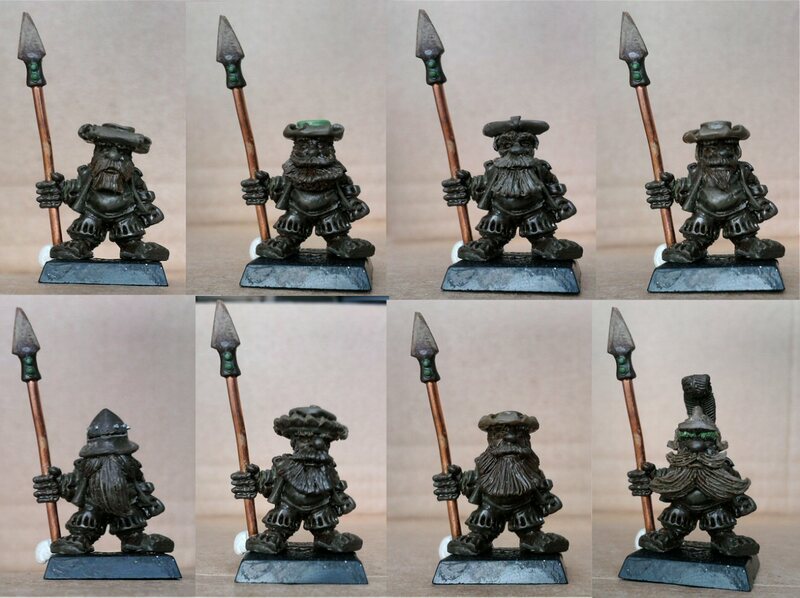 Yeah the poses are a bit static but you've explained that so don't mind, are you going to get them cast out of pewter to match or plastic? I wouldn't mind some if you eventually wanna take order from people. I think they look quite splendid! They should fit right in with your other old renaissance models, and I look forward to seeing some painted up! They will be cast in metal and everyone will get a chance at getting some. Regarding the hats, there are two of the first ones that I feel are not quite there perhaps (number 4 and 6 in the first line-up, though they look more interesting from other angles), but the others look quite fitting in person (in my opinion of course, which is worth what it's worth). WOW WK you know I'm very excited about this project...keep us all in mind! Well, the square shoes are classic landsknecht look, so can't leave that out. Wow, they look fantastic! 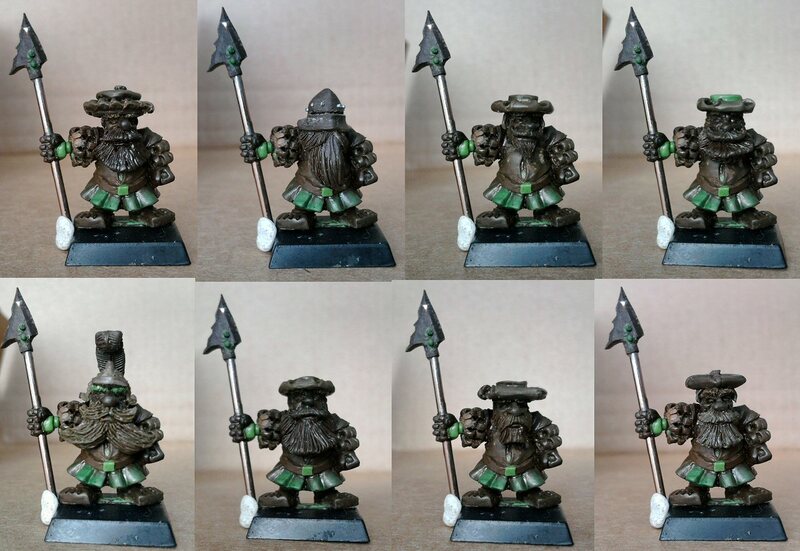 Are you sure these aren't lost Marauder Dwarfs? While I still think that there's plenty of room for improvement, they already look pretty good. I like landsknecht looks of them, one thing that is not in line with these uniforms is barbed spearhead...but that's up to you. one thing that is not in line with these uniforms is barbed spearhead...but that's up to you. Well, I specifically asked for one normal spear/pike and one halberd. The other two were left to the sculptor's devices and he came up with this. It should be easy to file off the barbs if you want, or simply not use that weapon option. I'm not sure how I will package these when I offer some for sale, but at the very least there will be enough weaponhands in the pack to equip all the models with the same weapontype. White knight, you sir are a genius. There is amazing potential in what you have started and I wish you every success. You can count me in as a future customer. A fantastic amount of character and clever use of head and weapon combinations to make so many unique looking individuals. Love them! Especially the guy with the full helmet. Would definately be interested in buying some of these! They all rock! Well done friend! now that I've started being interested in marauder models. Let us know when they are cast! I hope they won't be too expensive will they? Edited by Goldo, 16 September 2010 - 03:59 PM. D*mne me soule, sire, these be ... Fantastic! Brilliant! I, fer one, 'd sure fancy gettin' me dirty 'ands on a pack of 'em for the head with the Burgonet helmet alone. The others heads are, of course, brilliant as well, and the bodies are fine too. To be honest, I don't know yet about how they will be packaged for sale. As I'm not going to do this as a professional venture, I'd like to keep logistics as simple as possible (as in, prefering to sell fixed sets rather than individual picking of parts), but we'll see when we get there. 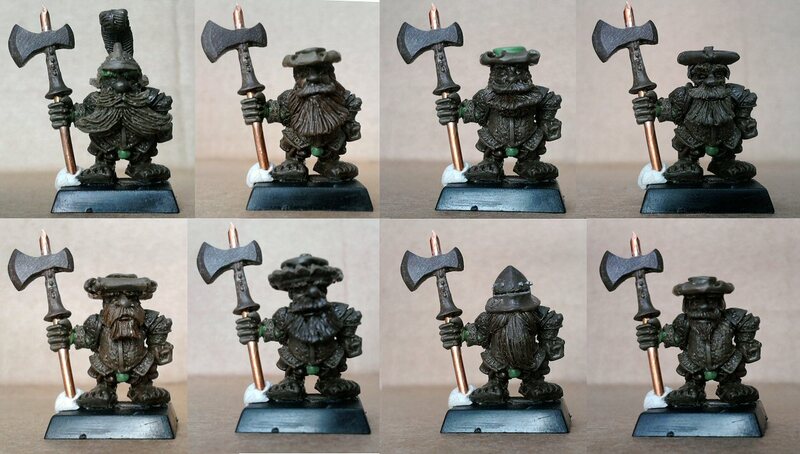 I will probably try to also offer conversion sets of just heads, that you can use to convert your other models if you want (for instance, they would work pretty well with the 6th edition multipart plastic dwarfs from GW, with minimal work). They look very oldschool. I wouldn't mind a unit or two of them.